We’ve lived with telecom connectors for so long that it’s all too easy to take them for granted. The Registered Jack standard has brought our communications capabilities to new heights since its birth in the US in the 70’s. Since then, of course, telecom connector developments have fuelled the technological revolution. 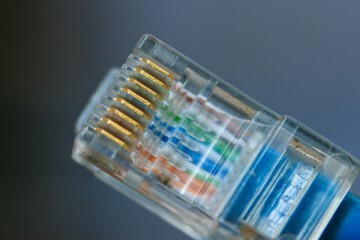 The flexibility of the connectors has led to its broad take up for telecommunications. The late 70’s saw big changes in the US which meant that hard wiring and ownership of equipment by the big telecom companies gave way to manufacturers of devices like faxes and modems flooding an eager market. Specifying an RJ standard connector on their equipment meant instant access to the thousands of miles of telephone lines. The 80’s saw a huge leap in ownership of such gadgetry and, of course, paved the way for home internet access. The RJ-11 was an early introduction and some of us remember the weird and wonderful telephone handsets that began to be seen particularly in the 80’s as we were freed from the standard issue dial phone. The simple elegance of design and ease with which the connector could be utilised at home by anyone has meant that the 6 position, 4 conductor configuration is something of a modern classic and remains unchanged for more than 30 years. The most popular range of connectors and most widely recognised is the RJ45, standardised as an 8 position 8 contact terminator for twisted pair and multi-conductor flat cable. Spring tension in the contacts ensures good data connectivity making it ideal for terminating cat 5 / 5e ethernet cable or device internal data transfer. Surface mount jacks, low profile, top or bottom entry jacks, the potential mounting of these connectors is limited only by the imagination. Neither does the demand for RJ connectors diminish – most companies now have a patchboard as a minimum on the premises, networking PCs, printers and complex phone systems. In the home, the rise in popularity of the Raspberry Pi is encouraging people to automate their homes with electronic DIY projects while on the other end of the tech spectrum, astronaut Tim Peake has taken to experiments with the tiny computer aboard the International Space Station. At Leotronics we know connectors. Our knowledge has provided solutions around the world in manufacturing within automotive, financial and domestic engineering industries. Contact us to see how we can support your design aspirations and help you achieve more.